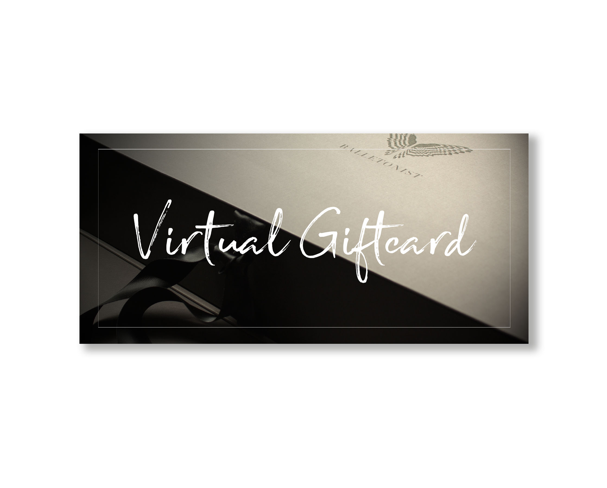 The BALLETONIST Virtual Giftcard will be send by email to the lucky ballerina. Just choose the giftcard value in the checkbox here below and add the Virtual Giftcard to your shopping basket. Then fill out the recipients details at the checkout page. Here you can even add a personal message. Upon receipt of your payment the Virtual Giftcard will be send out by email. Should you wish to give the Virtual Giftcard on a specific date, please enter your own email adres as recipient. Then you will receive the Giftcard including the unique code, to be printed or send out at any time or day of your choice. A unique and thoughtful gift for passionate ballerina’s, that will be truly appreciated!